Head phones come in different forms and styles. Some may find helicopter pilot sized headphones more comfortable, while others might prefer the flexibility of in-ear head phones. Play sports and other physical activities using head phones. They can keep you tuned in to your favorite soundtracks anywhere you go. We have rounded up some of the major types of head phones to help you decide which one will suit you and your needs best. This type is very common these days and even come free in most MP3 players and smartphones with clips, giving you more freedom to move around. They often come with a microphone and navigation controls, capable of moderate to excellent isolation from external noise. Their compact design makes them an ideal accessory for those who do vigorous exercises. Bose SoundSport Head Phones, for instance, are sweat-resistant and does not wear-off your ears easily. This type is less prone to stressing your ears and rests comfortably on your ears to provide good sound isolation and noise cancellation. There are models that are good for gaming and personal home use, while there are those that are portable and can be folded neatly. Similar to common designs of head phones, most on-ear head phones come with wirings. 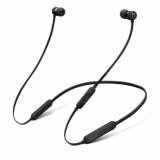 However, there are also those that offer bluetooth compatibility like the Jabra HALO 2 and Bluedia 66I Wireless Headset. Wireless head phones are very portable and can easily slide in pockets, ideal for people who travel and make calls a lot. Most models, however, needs charging to function. Over-the-ear headsets can offer the best sound isolation. This type of head phone blocks external noise and seals in the music effectively. Though they are mostly bulky and are not as portable as the other types, they offer maximum bass and loudness levels. Experience the best tunes with surround sound effects. Among the best deals in the market are Sennheiser Momentum Head Phones. At PricePanda, we have an extensive collection of head phones of different types and brands. Our audio arsenal includes head phones from top brands such as Sony, Plantronics, Sennheiser, Denon, Beats by Dre, Razer, Logitech, Pioneer, Skullcandy, Philips, and many more. From boom boxes and CD players, to portable speakers and head phones, you can always shop with your one-stop audio shopping destination, PricePanda!